Almost one year back I bought this Biocare Neem Cleansing Scrub from an online store. Recently I have started to use on regular basis. 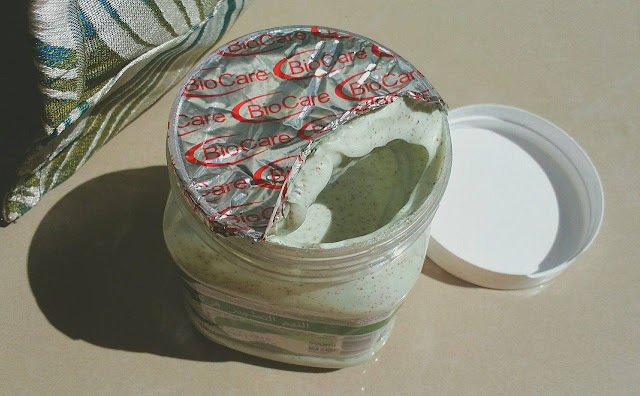 Biocare offer a wide range of products that include cleansers, toners, scrubs, moisturizers, massage cream, face powder, skin bleach, peel offs, soaps, hand cream, foot care cream etc. I love their wide range of face, body, foot scrub. These are all comes at a decent price. A traditional formula enriched with a natural cleansing exfoliant. 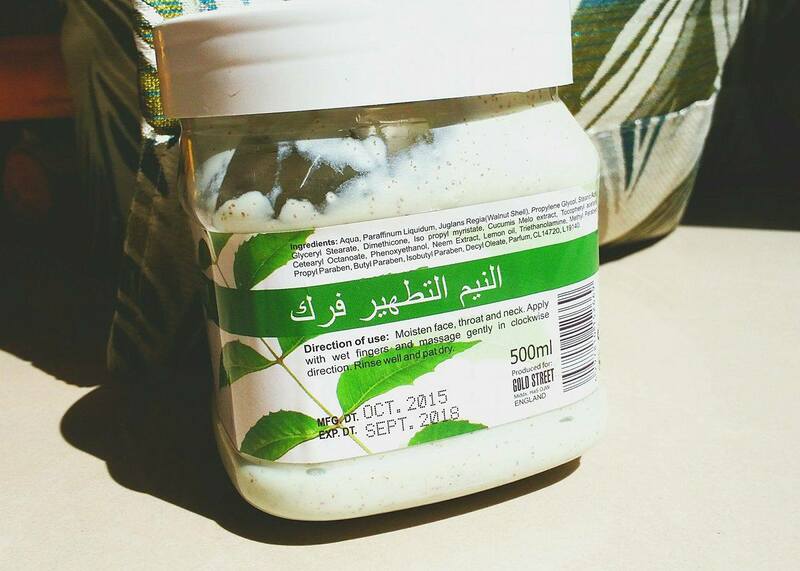 Removes dead cells, the sun burnt and other impurities. Lightens skin discoloration and blemishes. Moisten face, throat, and neck. Apply with wet fingers and massage gently in a clockwise direction. Rinse well and pat dry. 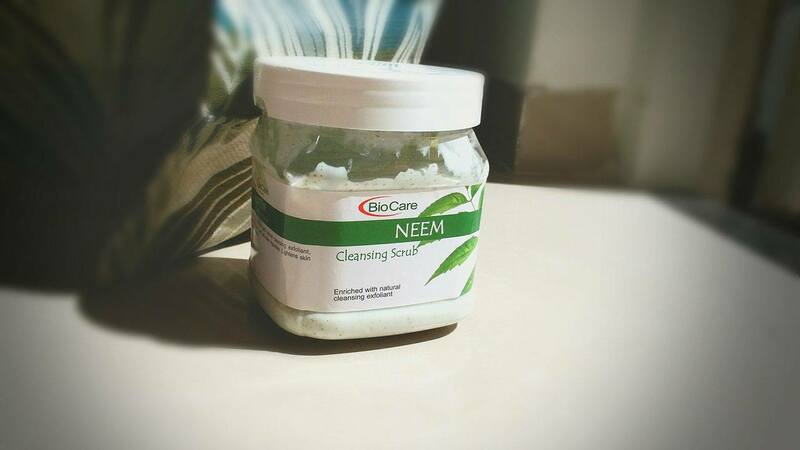 The Biocare Neem Cleansing Scrub comes in a wide mouth transparent plastic tub. 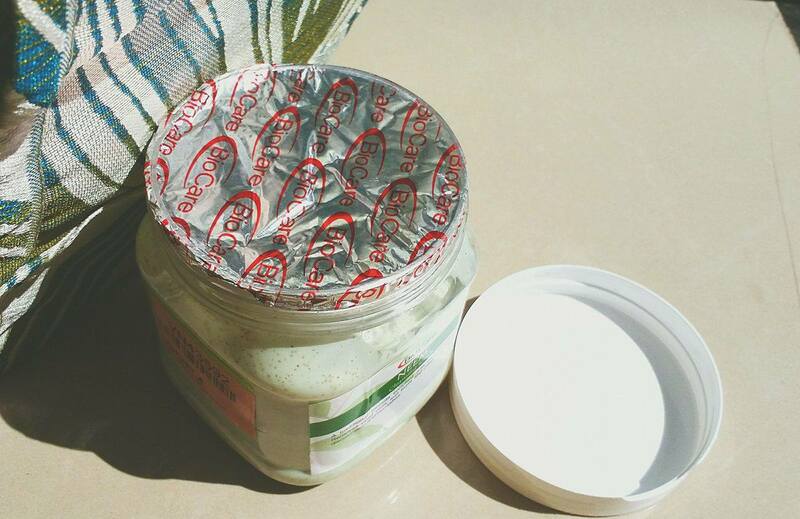 The lid secure with foil paper and has a white screw cap that helps you avoid the leak or spill. The scrub is light greenish color and has a very creamy and soft consistency, which is almost like a cream and gives a moisturizing effect after wash. The texture is a bit runny compared to other scrubs which comes in a tube type packaging. This product enriched with all natural ingredients. It contains with very small brown colored walnut exfoliating particles that are very gentle enough for all skin types. The best part of the product is that the walnut granules that are not harsh on my skin which gives a mild exfoliation every time. I think for that reason acne pore skin and sensitive skin beauties can also easily use this scrub. This is face and body scrub as well. 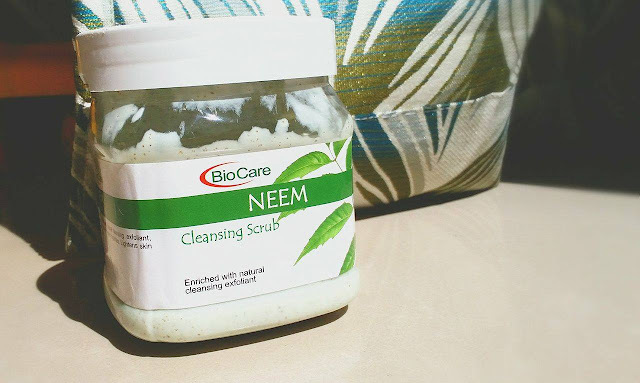 I apply this scrub on my face with circular and outward strokes to exfoliate impurities. For the body part with help of wet fingers and massage gently the scrub all over the body. I really love this scrub. I try to use it at least once a week as a body and face scrub. It is best that it helps to remove all that surface of the dead skin without irritating it. It exfoliates my skin so nicely and leaves it soft and smooth. It helps exfoliate as well as bring out the radiance and shine. 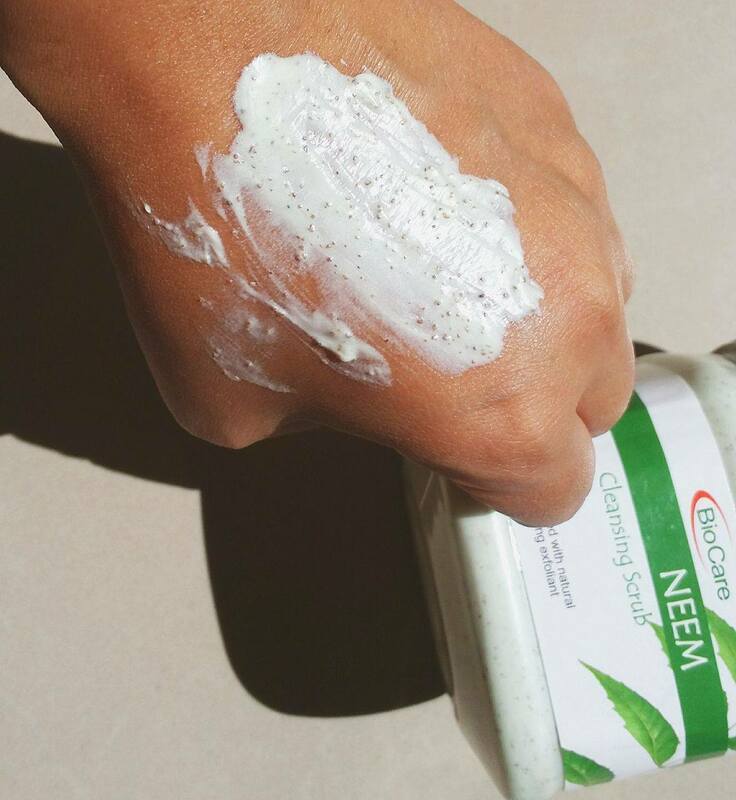 Overall, I really like this Biocare Neem Cleansing Scrub. Very easy to apply onto the skin. 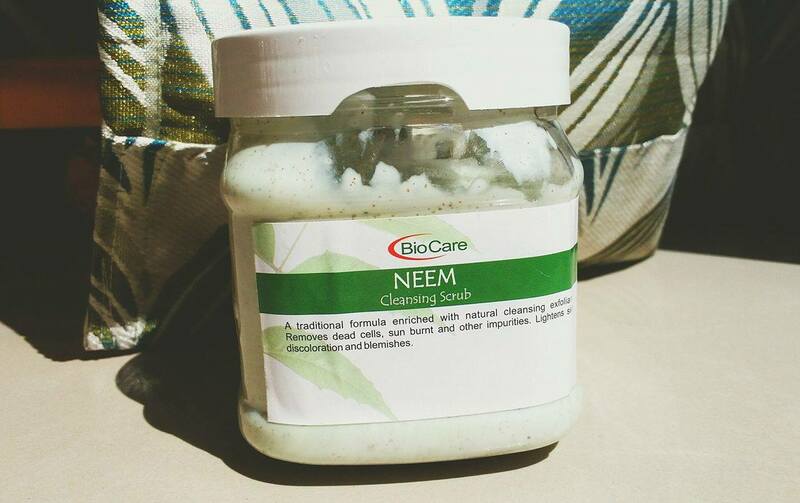 This scrub truly gives you a deep cleanse leaving your skin feeling amazing! I could see such a difference in my skin after using this. I highly recommend this product. It's worth the purchase. Sounds extremely good :) Lovely review. Seems good scrub. Nicely reviewed. This seems to be a really nice product.. Thanks for the review..